This large space was divided into a kitchen, dining and living space. 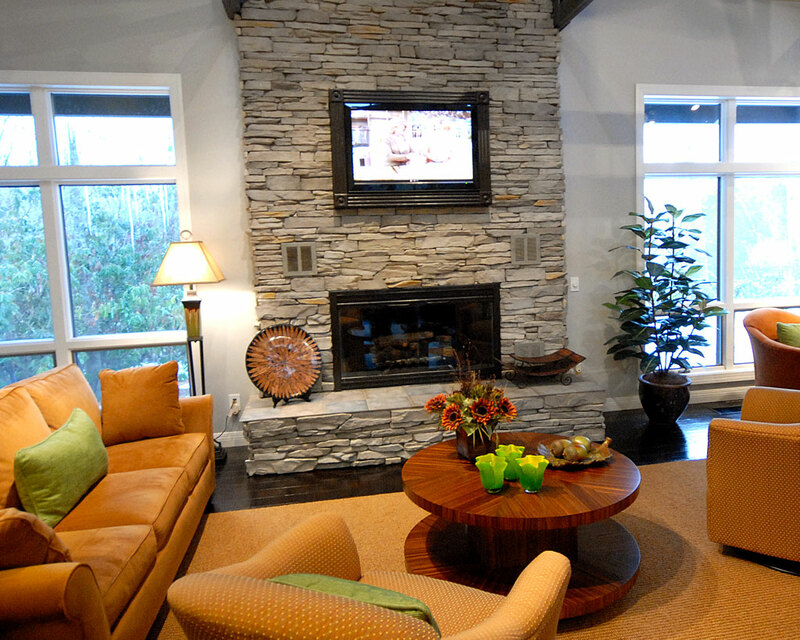 Furniture was placed around an existing fireplace. Colors were chosen to compliment and repeat accent colors in stone. A new charcoal wood floor was added.